As soon as Claudia Halstead’s plane touched down in India she could feel the swell of humanity. Driving the six hours from the airport to the orphanage she would call home for the next 10 days, humanity was everywhere. Swells of people rose and fell along the roads, even on the rural roads. Cars, motorcycles, and bikes swarmed all around the bus carrying the medical team and a group of volunteers. Claudia first met one of her travel companions, Dr. Gene Ver, a primary care physician in Rochester, New York, on another trip to Peru. There they studied medical Spanish. “I really bonded with that group, so when Gene contacted me about this trip to India, I jumped at the chance,” Claudia said. Everyone in the group paid their own airfare, but once they were in India they were greeted with open arms, cots, and meals. The Methodist Church-run orphanage where Claudia stayed houses more than 100 children. When Claudia asked how the children had such beautiful teeth, she was told it is because they don’t have access to sugar. Their diets consist of rice, potatoes, spinach, eggs, red peppers, and Tandoori bread. At the clinics, Claudia saw all women. Most of them had minor complaints. Many asked questions about female issues, a topic they would never consider discussing with a male doctor, Claudia said. There was no chronic pain, no depression, and no ADHD. The people were shy, but respectful. Many of them had very limited contact with white people so they were very interested in the American team. Of the 12 people on the trip, three saw patients at rural clinics. Claudia and the medical team saw about 250 people a day at each of the three rural clinics they visited. The medical team worked with interpreters and an Indian doctor. The rest of the people on the trip worked to rehabilitate an old church. “People were incredibly healthy for the most part. They had complaints that came from having a rough life,” Claudia said. “I will definitely do another medical trip in the future. It bothers me that I can’t do more; it bothers me every second that I’m awake. Photos courtesy of Claudia Halstead. 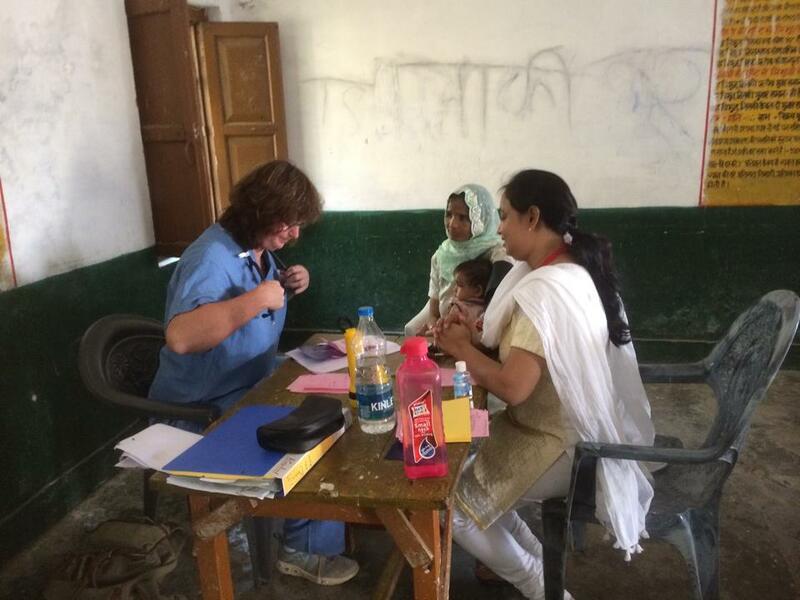 Claudia Halstead, PA, left, speaks with women at a rural clinic in India. 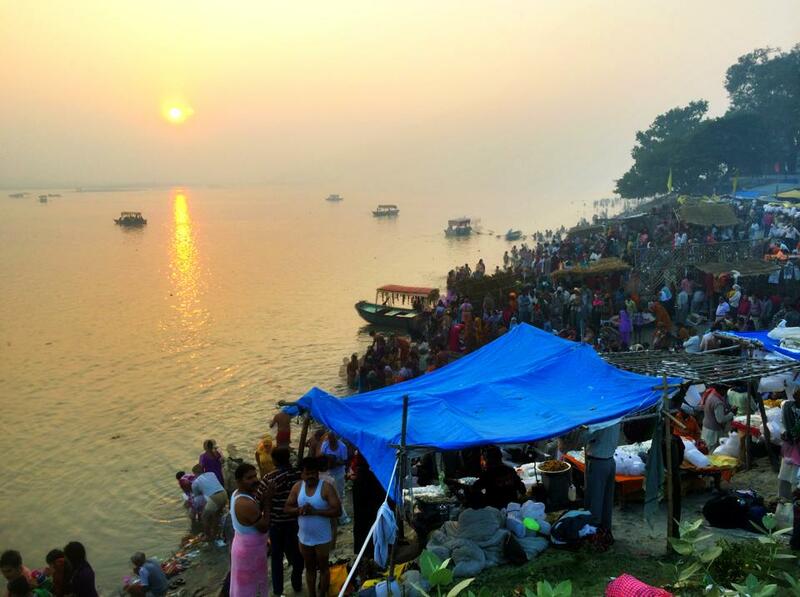 The press of people is especially apparent along the riverbank during a bathing ceremony.